Santiam Hearts to Arts is finally moving into permanent quarters. The SH2A board of directors spent six months securing the new location after the Canyon Art Center opted to puts its building on Highway 22 in Mill City up for sale. A nonprofit that preserves, presents and promotes the fine and performing arts throughout the North Santiam Canyon, SH2A was housed in the center for the past three years. Jeanne Gunner, board president, said finding a place was not an easy task, especially taking into account that SH2A is home to the community radio station, KYAC 94.9 FM. The radio station operates 24 hours a day, seven days a week with both live deejays and prerecorded shows. The station provides local news, weather and emergency information regularly. Volunteer programmers, including those from the Youth-In-Broadcasting program, bring talk, pop, classic rock, jazz, R&B, big band, contemporary rock, early Doo Whop, adult contemporary, classical, easy listening and western swing to the airwaves, according to Ken Cartwright, station manager and program director. 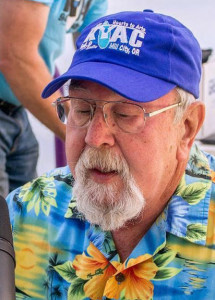 Cartwright also volunteers his time as the audio engineer, trainer, public relations officer, and hosts Ken Till Ten five days a week 6-10 p.m. and simulcasts his show with Salem’s KMUZ 88.5 and 100.7 FM. With its mission complementing that of the IOOF, Gunner said SH2A is helping to renovate and update the Odd Fellows historic building, Stewart’s Hall, in the center of town on Mill City’s Broadway. Permits, raising walls, and finishing essential upgrades should be completed by the end of the year, Gunner said. Santiam Hearts to Arts welcomes young and old who would like to become involved with SH2A classes, events, and administration. For information, visit www.santiam2a.org.